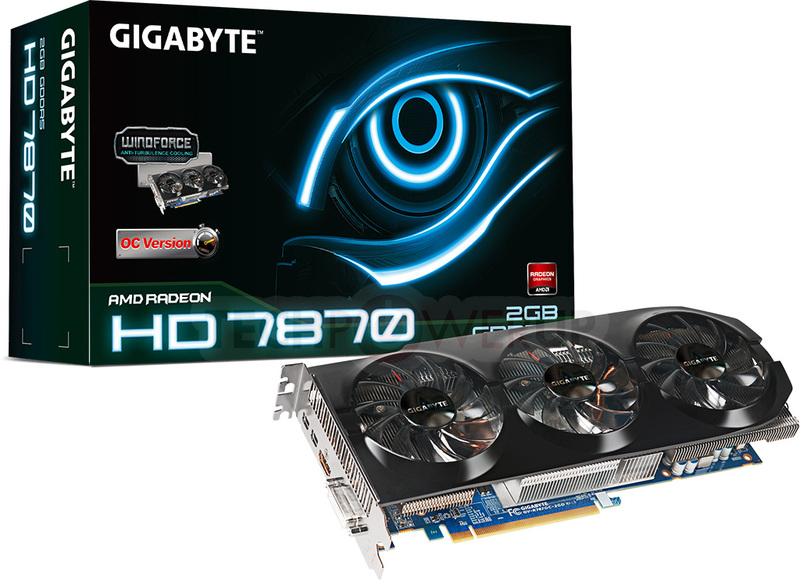 GIgabyte has launched its new HD7800 Series Graphic cards which feature the WindForce cooling design along with factory overclocked frequencies. The cards include GV-R787OC-2GD (Radeon HD7870 OC) and GV-R785OC-2GD (Radeon HD7850 OC). The GV-R787OC-2GD Features the WindForce 3x Cooling featuring a total of three cooling fans with a 5-10% increased factory clock speeds which means around 1000Mhz+ Core clock. 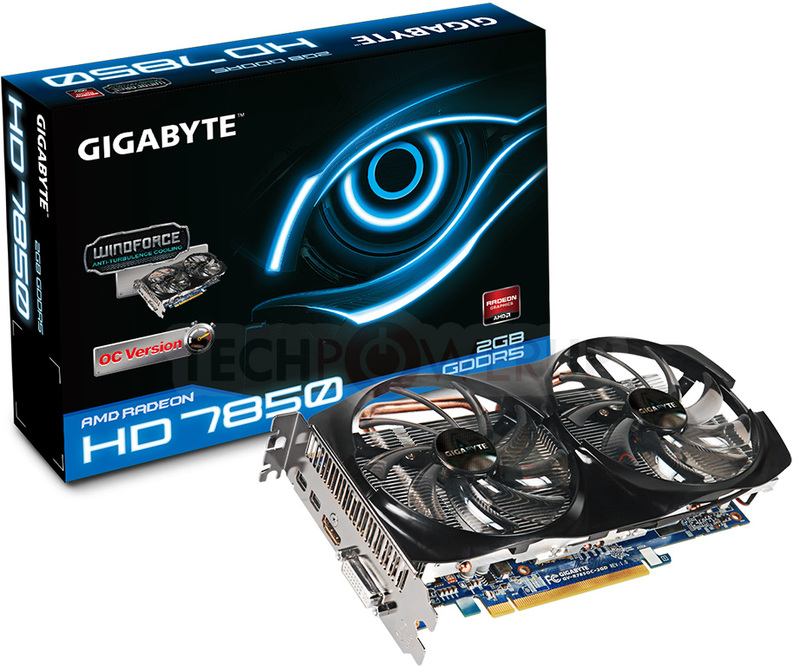 The Gigabyte Radeon HD7870 also makes use of Ultra Durable VGA+ PCB. The card would be priced at $349 during launch on 19th March. The GV-R785OC-2GD is equipped with the WindForce 2x featuring a dual fan design, This card is also said to be overclocked upto 5%. Both cards feature a 2GB GDDR5 Memory running across a 256-bit wide memory interface. Gigabyte HD7850 would be priced at $249 on launch.